Singer Simi recently signed an endorsement deal with the popular mobile browser, Opera Mini. She will be their brand ambassador in Nigeria. An excited Simi in her statement mentioned that she had a great 2017 and she is so delighted to be starting the new year with a good deal that will not only be beneficial to her music and her brand only but to the organization, she is dealing with. 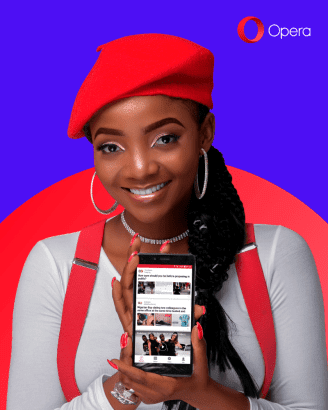 Simi will not be first Nigerian celebrity to sign an endorsement deal with Opera Mini. Chelsea FC star, Victor Moses was an ambassador for the browser in the year 2017 in a deal that was worth about $100,000.